If you need a Remington RP9 holster, then you've come to the right part of the galaxy. Alien Gear Holsters specializes in comfortable carry holsters with innovative designs that deliver a comfortable carry, including for the Remington RP9. A Ruger RP9 concealed carry holster needs to be able to effectively conceal, but must also carry comfortably with this size of firearm. Our holster designs are geared around a comfortable daily carry, with the fitment and security required to do so confidently. 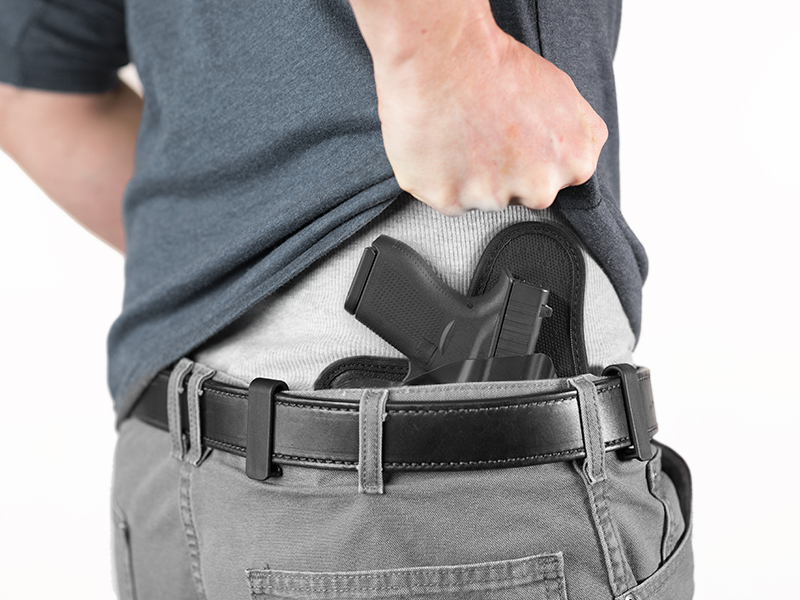 Alien Gear Holsters' innovative design allows you to choose the manner of carry you want. With our Universal Holster Shell design, you can expect a quality carry no matter how you pack your pistol. A custom-molded retention shell is attached to the backing platform of your choice. This gives you a custom fit and adjustable retention on every RP9 gun holster made by Alien Gear. What kind of RP9 holsters are available? For a comfortable carry, Remington RP9 IWB holsters can carry this pistol easily, comfortably and conceal well under a shirt or other light layer. The Cloak Tuck, a classic leather hybrid holster in black or brown leather, or the ultra-modern Cloak Tuck 3.5 IWB. The 3.5 features a backing layer of CoolVent neoprene and a core layer of spring steel and woven ballistic nylon. 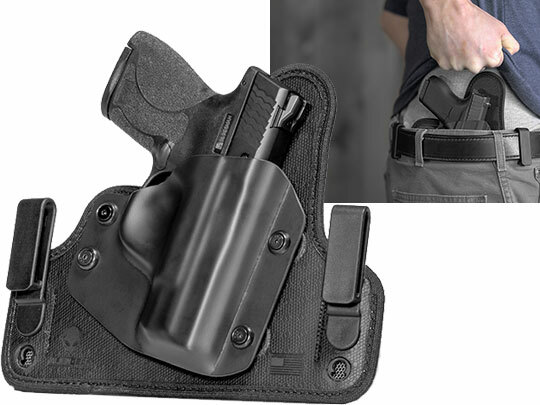 For those times when concealment isn't your primary concern, Remington RP9 OWB holster designs are also available. The Cloak Slide OWB is a high-riding belt slide holster, in black or brown leather. You can also opt for the Cloak Mod paddle holster, which can be worn with a belt slide attachment in lieu of the paddle if desired. All models have adjustable passive retention. Select models are adjustable for ride height and cant. All holsters also come with Alien Gear Holsters' Iron-Clad Guarantee, including the 30 Day Test Drive trial period, our Forever Warranty and a lifetime of retention shell trades if you ever swap out your pistol for a new model.